– I made him a set of cards to “open when…” Some with personal messages, jokes, pictures, etc. 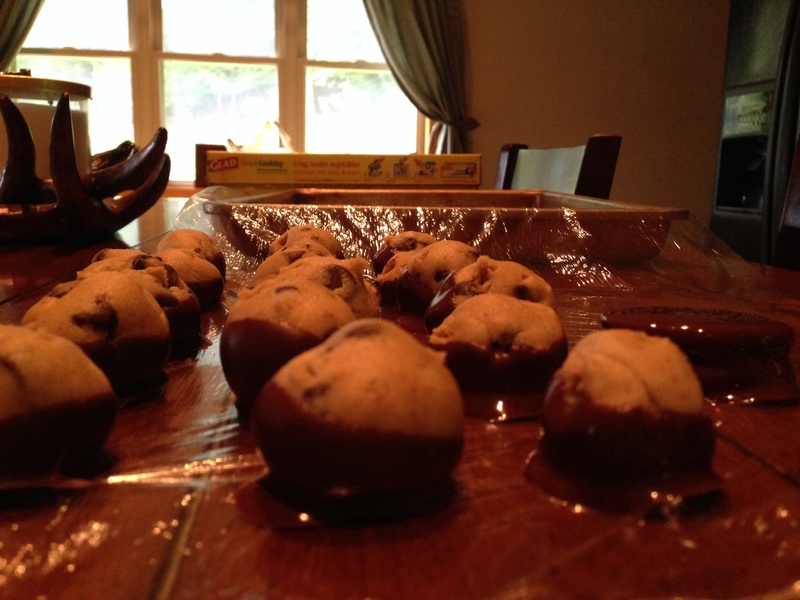 – He loves chocolate, so I made him a bunch of chocolate covered Oreos and cookie dough. 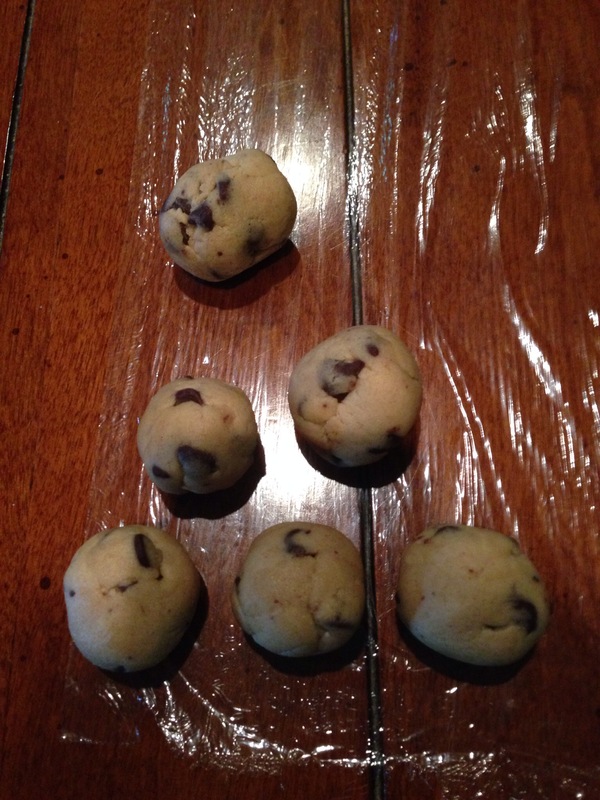 I made a simple egg-less cookie dough and rolled it into balls. I then stuck them in the fridge for a few minutes to harden up a bit. 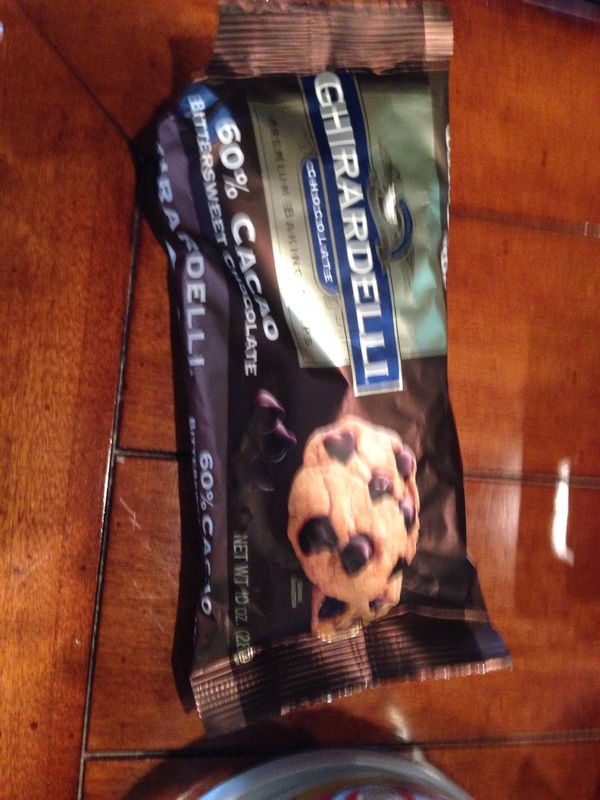 Since this wasn’t super fancy, I used ghiraedelli 60% dark chocolate chips! and melted them down in the microwave with some Crisco. 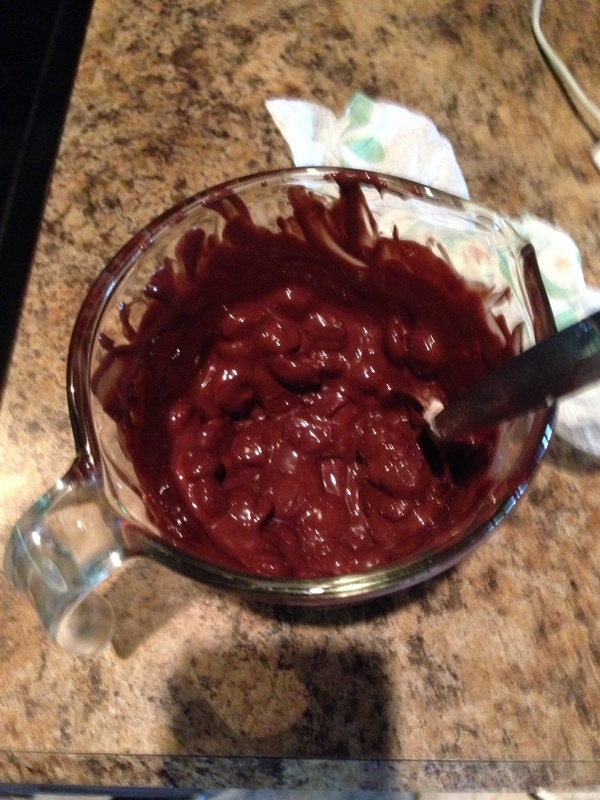 I used approximately 1tbs of Crisco per 2 cups of chocolate chips. 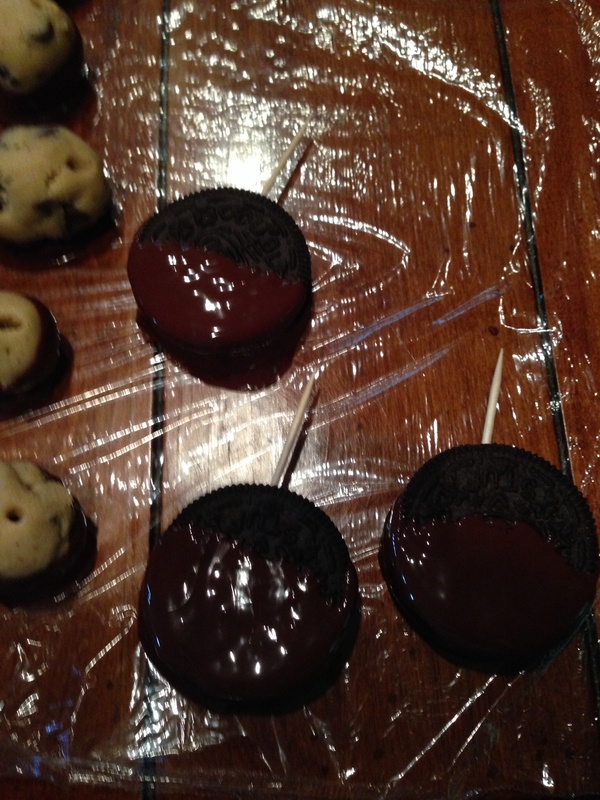 then simply dipped the cookie dough balls and Oreos into the chocolate. I then set them on Saran Wrap and stuck them in the fridge for a bit to firm up the chocolate. And I only ate about half the dough!